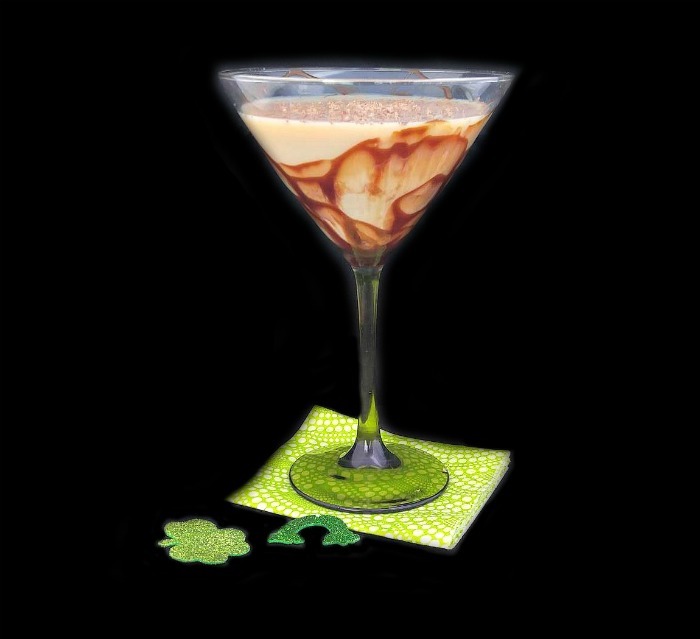 St. Patrick’s Day will soon be here and Bailey’s Irish Cream is a favorite of mine to serve on this fun day. I love to experiment with different cocktail recipes year round, but I really enjoy them for special holidays. 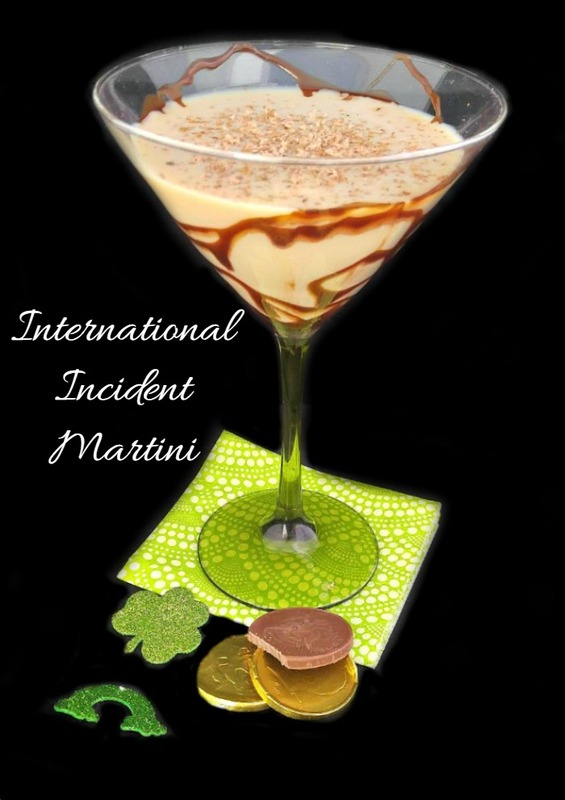 This International Incident Martini is a creamy and delicious cocktail that will really get your party started. Making cocktails for friends is a fun way to get a party started in a festive way. It is easy to see where the drink go its name. Bailey’s Irish Cream – Ireland √ ~Frangelico – Northern Italy √ ~ Kahlua – Mexico √ ~ Vodka – Russia √, and Amaretto – also Northern Italy. Put them all together in one glass and you have an International Incident! Time to make an International Incident Martini. 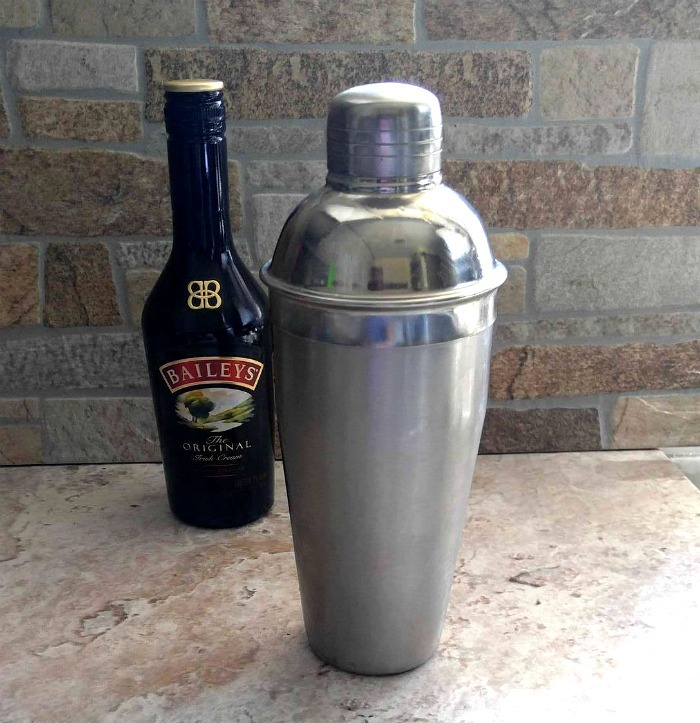 Place some ice in a cocktail shaker and add your spirits. Shake until the alcohol is well combined. Strain the drink into the prepared martini glass. For a bit of extra flavor, use a citrus grater to grate in some dark chocolate. This will also add some extra color and flavor to the top of the drink. Enjoy. Drink responsibly! 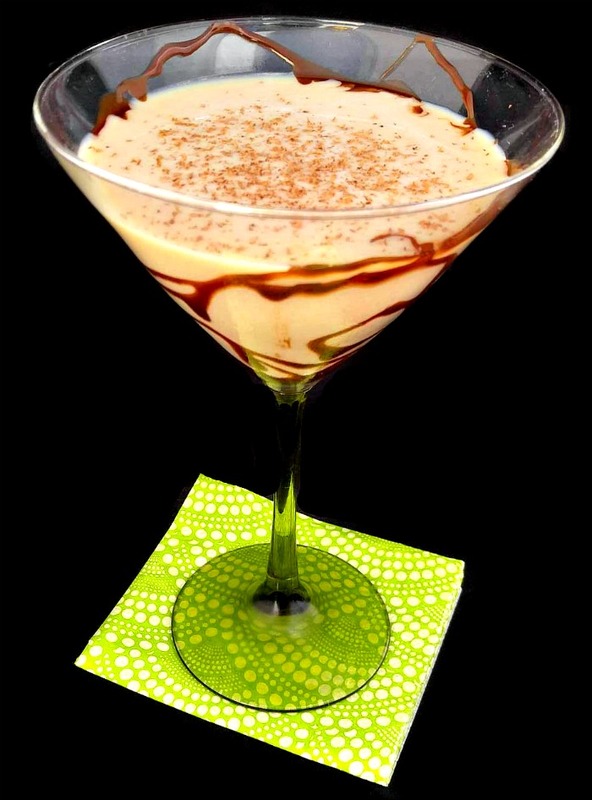 For another delicious martini, try this caramel apple martini. Do you have a favorite drink that you like to serve on St. Patrick’s Day? What is it? For more drink ideas, visit my Cocktail Hour Board on Pinterest. 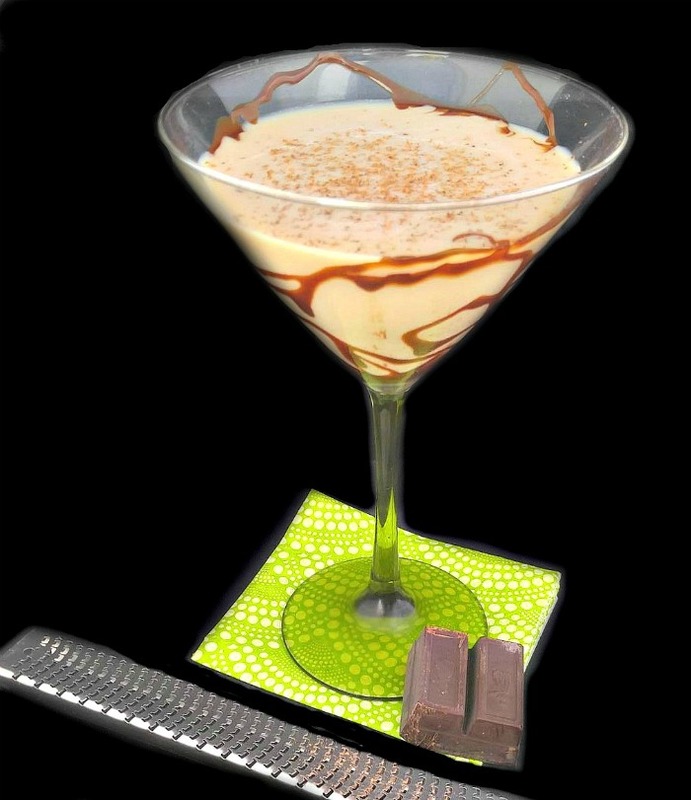 If you like to cook with Bailey’s, try these amazing Bailey’s Irish Cream brownies. They are to die for! 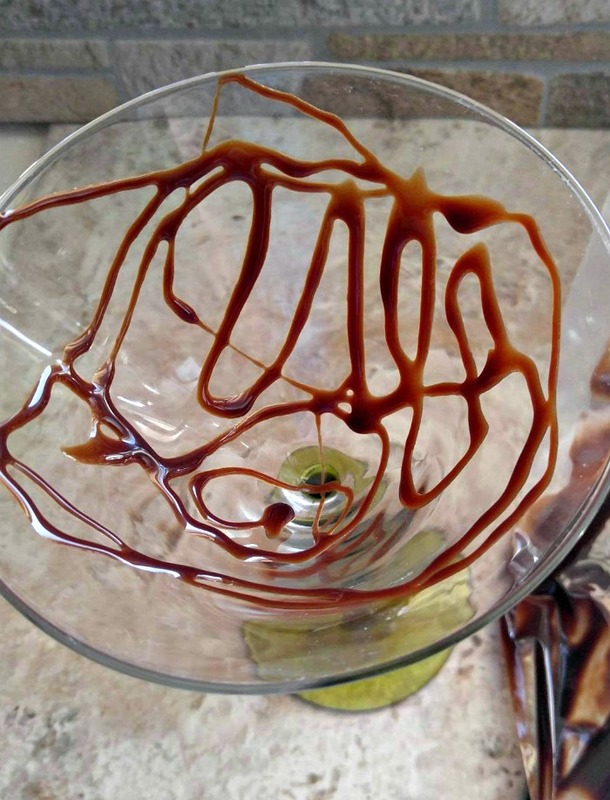 Drizzle the inside of a martini glass with melted chocolate. Place in the fridge to set. Place the ice into a cocktail shaker and add the spirits. Shake will. Strain the alcohol into the prepared martini glass and serve.